Whether you are bringing your children with you on your trip to Hyderabad, Andhra Pradesh, or are simply bringing out the inner child in you, Lumbini Park is certain to serve your entertainment needs. This huge urban amusement park is situated right next to the famous Hussain Sagar Lake, and is one of the primary go-to places for tourists planning a trip down the Tank Bund. While there were a few concerns before regarding its safety, the Park has already received massive improvements in its security to provide against any more possibilities of attack similar to the one that took place some years ago, and people may now expect the Park to be chock-full of amusement-seekers once again. The Lumbini Park covers an area of approximately seven-and-a-half acres, and is ideally situated for tourism. In fact, it is located right smack in the centre of the city, which renders it a perfect jump-off point for those seeking to start their tourist travels in Hyderabad the right way. 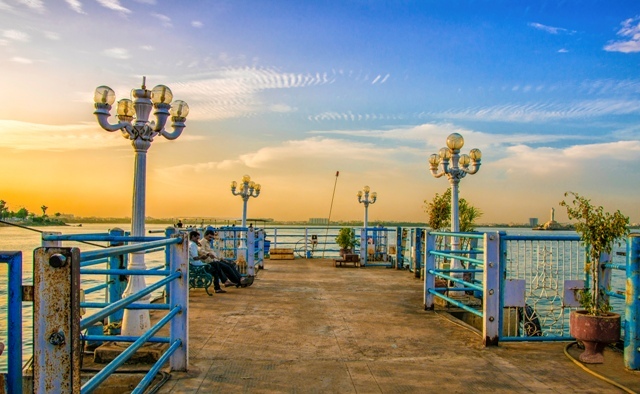 Geographically proximate to it are, of course, Hussain Sagar Lake, the white-marble rise of the Hyderabad Birla Mandir dedicated to Venkateshwara, Necklace Road, and the well-maintained NTR Gardens. Indeed, one may easily start off one’s day at Lumbini Park and later go on Necklace Road to visit the other parks of the city, from Sanjivaiah down to Jalavihar. The Park has a jetty that is known for being one of the best places to go boating in the city, and also boasts some rather impressive landscapes. Even upon your entrance to the Park, you are likely to be impressed already, what with the large clock that serves as a welcome sign—only instead of being made out of industrial materials like wood and steel, this particular clock is one made of living flowers, which were planted by the Park gardeners in the shape of a clock’s face. Probably more well-known in the Park, though, are its shows. First off, the Park sports one of the first ever laser auditoriums in the country: one so large, in fact, that it is said to be seating around two thousand persons. Then there are the magnificent light-and-sound shows via the dancing fountains. The fountains dance along to music popular among the locals and typically taken off Tollywood hits. In 2007, Lumbini Park received some negative attention from the press following what the government claims to be terrorist attacks that affected part of the park. One of the bombs involved in the attack went off in the Park’s laser amphitheatre, and the severely injured and even killed some of the persons in the venue at that time. Potential visitors to the Park may rest assured that the authorities have tightened security in the Park, however, and have also installed metal detectors to ensure that all people going to the venue can enjoy themselves without have to worry that someone nefarious could simply bring in something dangerous. As a result, no other strikes to public safety have happened in the Park since then.